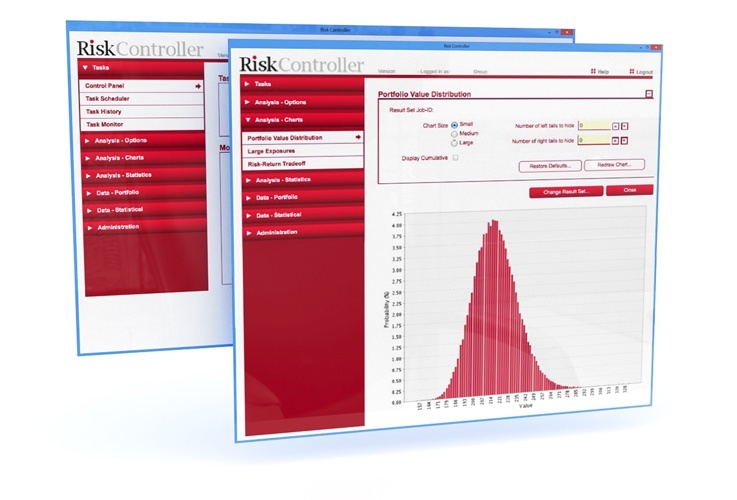 Risk Controller is a high-specification, portfolio modelling framework, supplying rigorously calculated risk statistics for multi-asset portfolios over different holding periods. 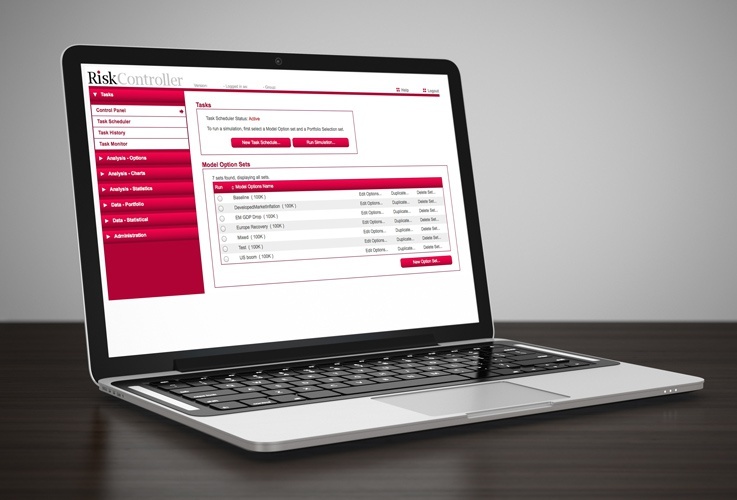 Risk Controller is suitable for credit VaR calculations, counter-party risk analysis, multi-asset-class analysis for investment firms and asset managers. The framework supplies VaRs, Expected Shortfall capital measures and and the capital contributions of individual exposures and sub-portfolios over horizons ranging from ten days to thirty years. The model is grid enabled to permit high speed risk evaluation with large portfolios and offers close to instantaneous evaluation of capital for single prospective deals. The software may be operated by groups of individuals working on separate portfolios. The software supports powerful parametric stress testing and excellent facilities for scheduling and archiving.